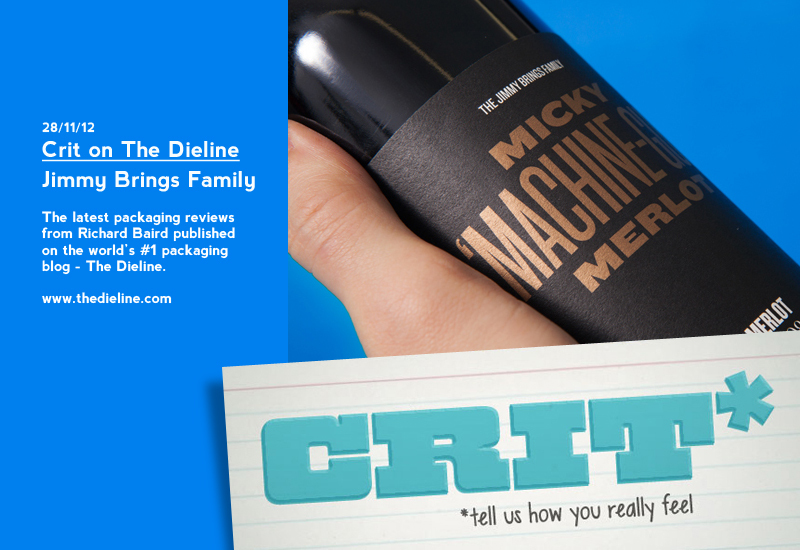 For this week’s Crit on The Dieline I reviewed the labels and packaging for a new range of own brand wines from Jimmy Brings, a Sydney-based alcohol delivery service fashioned on the 1920’s prohibition era. Created by Studio Sammut the design solution follows the theme established by the visual identity and collaterals by appropriating criminal personalities of the period – conveying these through a mixed typographic style, photography and a newspaper aesthetic – to communicate the individual flavour profiles of the wine, deliver a playful spin on heritage and further the quirky character of the brand. 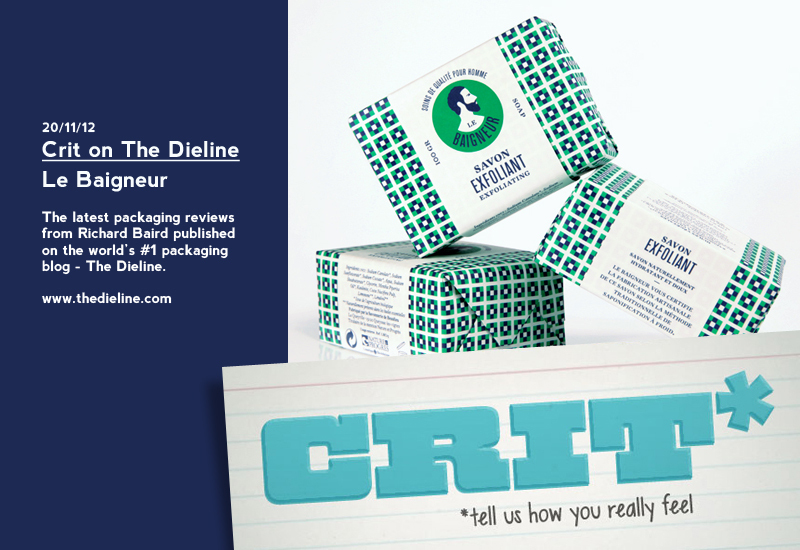 For this week’s Crit on The Dieline I reviewed Müesli’s packaging work for Le Baigneur, a French male grooming brand that aims to combine ‘efficiency and traditional know-how’ with an organic and locally sourced philosophy. The design solution for their first range, a line of three soaps made in Corrèze by craftsmen using traditional cold process soap making methods, resolves the crafted nature of the products and the brand’s traditional values through geometric pattern work filled with a bright but economical two tone colour palette executed across folded and uncoated materials. 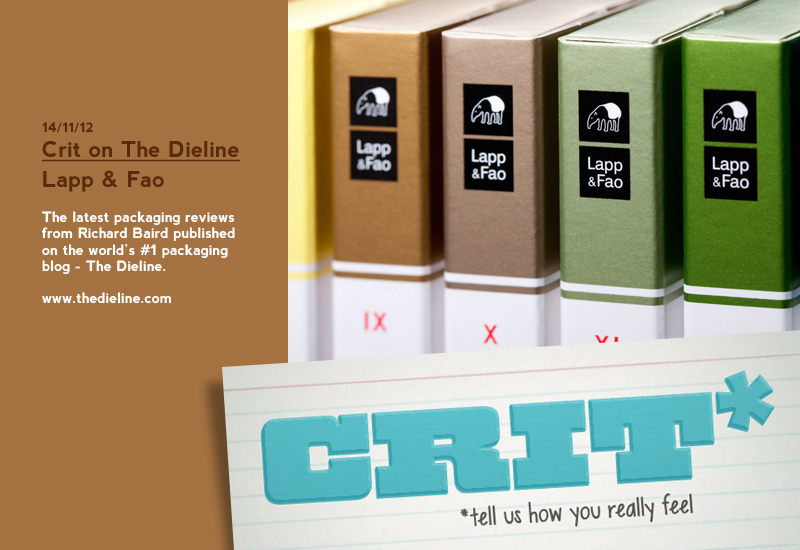 For this week’s Crit on The Dieline I reviewed the design solution for Lapp & Fao‘s new gourmet collection, Chocolate Books. The range’s packaging, created by Hamburg-based interdisciplinary design studio Only For The Future, utilises fine illustrative detail by Andreas Klammt within the context of an unusual but distinctive multi-coloured journal aesthetic to convey the themes of exploration, provenance and craft as well as the bold, distinctive flavour and mixed texture of the chocolate. 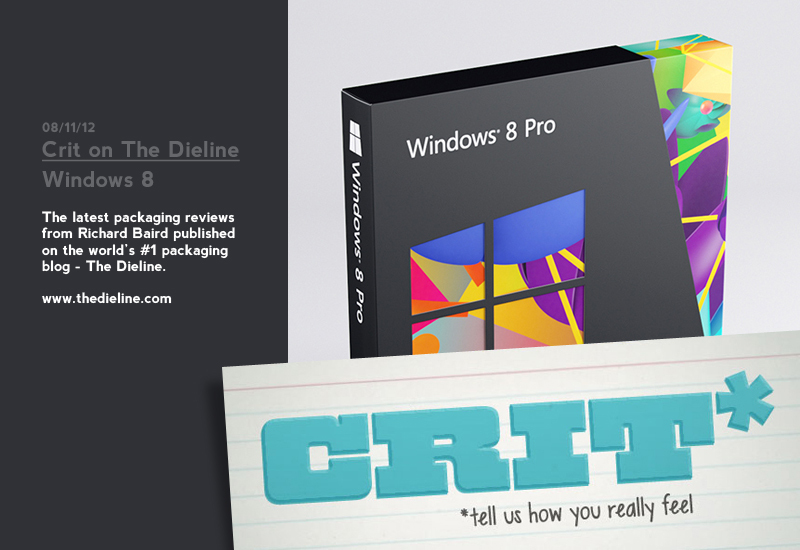 For this week’s Crit on The Dieline I reviewed the packaging for Microsoft’s 8th, touch-optimised version of its Windows operating system, a collaborative effort between international consultancy Wolff Olins and Berlin-based Colors and The Kids. Launched last month the design solution utlises the simplicity of Microsoft’s new identity system, also created by Wolff Olins, to frame the detailed, bright and abstract illustrative work. 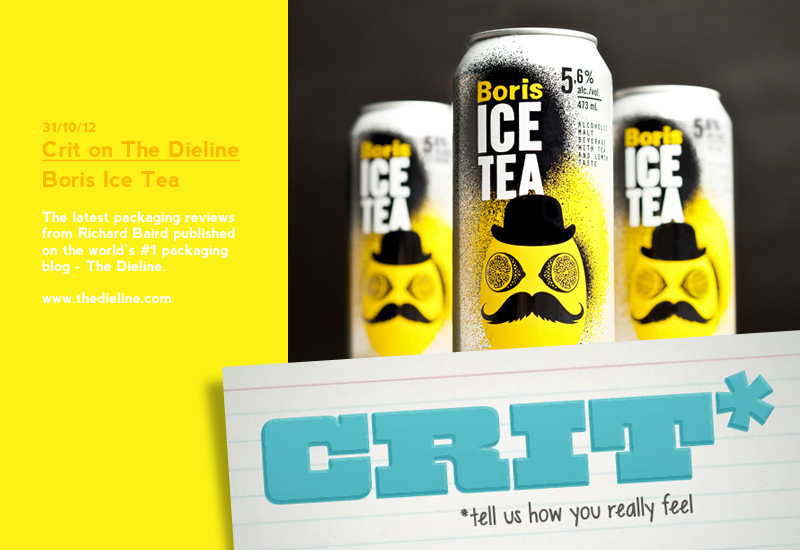 Last week, for my continuing Crit series on packaging design blog The Dieline I reviewed the design solution for a two flavour range of alcoholic ice teas from brewery brand Boris created by lg2 boutique. The packaging solution mixes fruit characters, tall typography and a simple but bright colour palette, bound by a stencil graffiti and spray paint aesthetic, infusing contemporary and urban qualities with quirky eccentricities.